This recipe would take maximum 5 minutes in a blender to make thick and delicious banana smoothie. 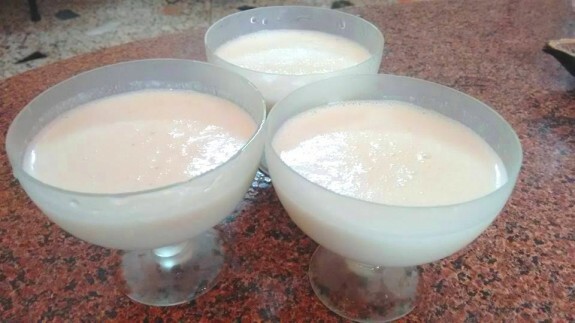 The main ingredients of Banana Yogurt recipe would be Yogurt and banana. Other you can mix and match wither with cashew nuts or with oats meal and many more. Here in this recipe, I use cashew nuts to give a little better taste. 1. Add banana, yogurt, sugar, honey and cashew nuts in a blender and puree until it becomes thick and smooth. You need to check whether the cashew nuts are also puree or not with a spoon.